BRUSSELS and MUNICH, Jan. 8, 2019 /PRNewswire/ -- Solar technology company REDAVIA and ElectriFI have signed a USD2m financing agreement to support REDAVIA's expansion in Ghana's industrial and commercial sector, offering affordable, reliable and clean power generated through modular solar farms. Germany-headquartered REDAVIA offers solar power for businesses in Africa through subsidiaries in Ghana, Kenya and Tanzania, and has a proven track-record in solar farm design, manufacturing, deployment and maintenance. The company targets the local business community including agro-foods processing, manufacturing, public infrastructure, and hospitality & real estate companies. 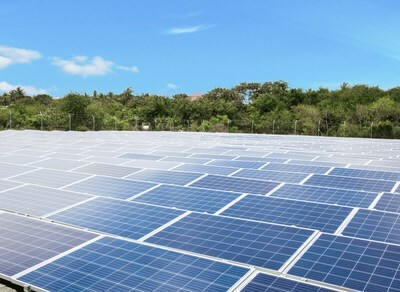 REDAVIA solar power enables a seamless integration into the existing electricity infrastructure of a business to ensure a more cost-effective and cleaner energy mix - with diesel generators, batteries or as a complement to grid-connected power. As such, REDAVIA is supporting the reduction of carbon emissions and increasing the impact on a sustainable society. Dominiek Deconinck, ElectriFI Fund Manager, declared: "We are delighted to partner with REDAVIA to bring reliable, affordable and clean electricity to the local business community in Ghana. REDAVIA's solar farms and lease arrangements show high flexibility and levels of performance. We are thrilled to be part of the journey." "The investment will bring around 15 MWp of solar PV assets to commercial and industrial off-takers such as educational institutions, agro-foods and manufacturing companies in Ghana," elaborated Quentin Antoine, Senior Investment Officer, ElectriFI. "We are very proud of our footprint in Ghana so far and the benefits that we are able to deliver to our customers," stated Erwin Spolders, CEO and Founder, REDAVIA. "ElectriFI's funding will be a stepping stone towards the international expansion of our successful delivery model in Ghana." ElectriFI is managed by EDFI Management Company NV in close association with the 15 European Development Finance Institutions (EDFI) as well as many other like-minded investors. Find out more on www.electrifi.eu and www.edfi.eu. REDAVIA offers solar power for businesses and communities in West and East Africa. The REDAVIA system is based on a pre-configured model, including high-performance solar modules and electrical components. It is easy to ship, set up, scale and redeploy. Businesses benefit from a cost-effective, reliable, clean energy solution with minimal upfront investment or technical skills. Find out more on www.redaviasolar.com.